All the action without losing your paycheck! 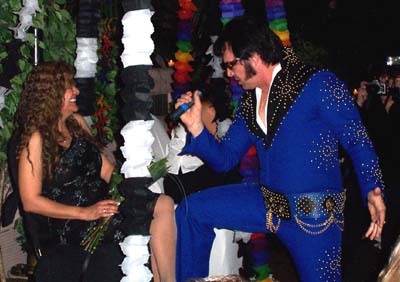 ELVIS - Live at your Casino Party Event! 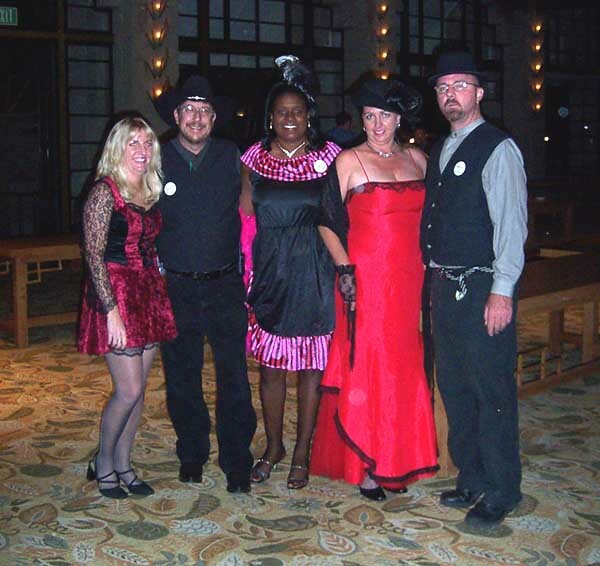 Our Entertainers are a sure bet for your corporate events. Lights! Camera! Action at Harrah's in Las Vegas. We rolled out the red carpet with our impersonators: Dolly Parton, and Elvis Presley! Over 300 guests enjoyed a great show while the paparazzi took photos around the Hollywood sets. 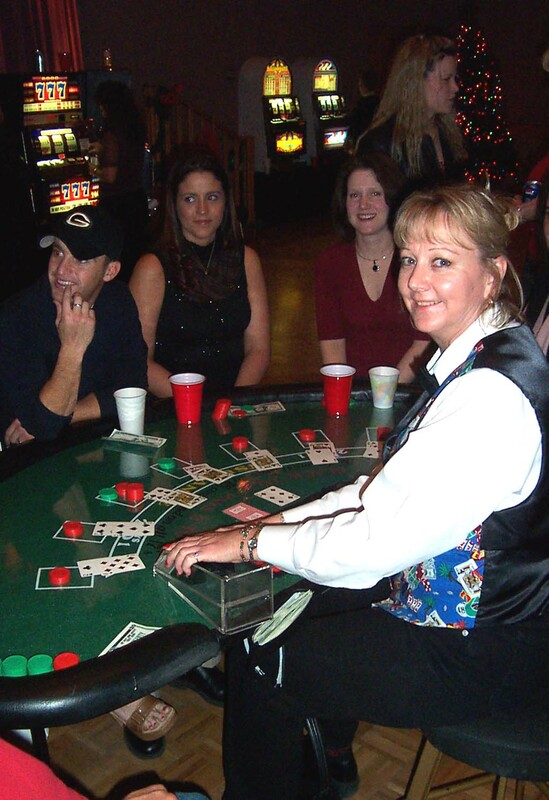 Lucky Linda's Casino Party Events provides the best entertainment value for corporate and personal parties! Photos from our Awesome Parties! The Slots make the Casino Party! 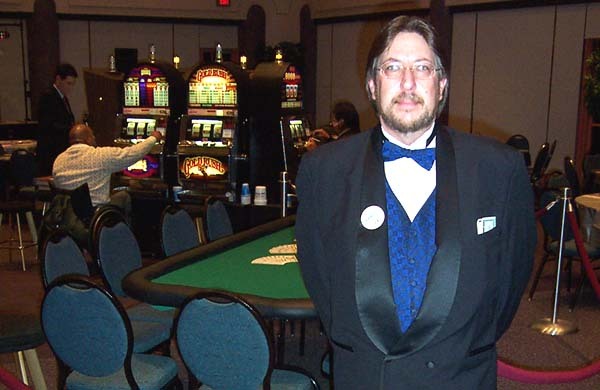 3 Card Poker - A Hit in Vegas! 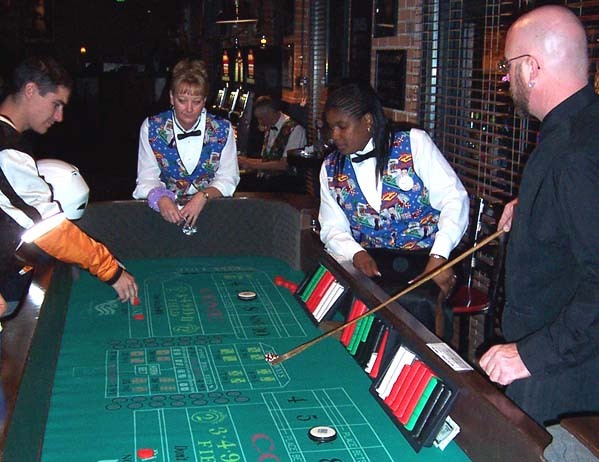 Enjoy Blackjack, Craps, Poker, Roulette and all your favorite casino games! 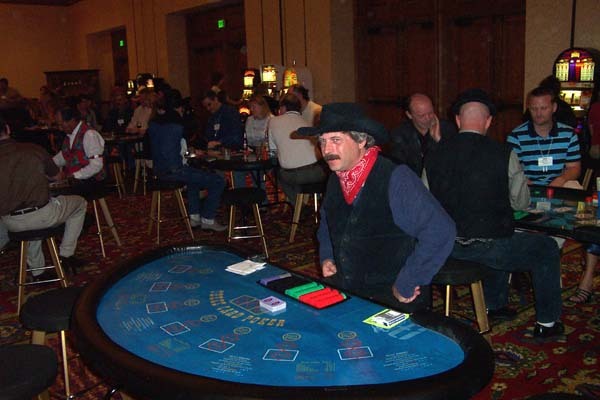 Authentic Texas Hold 'Em Poker! 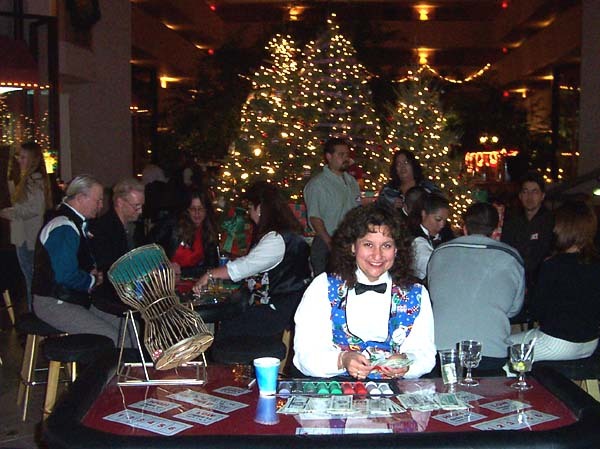 Texas Hold 'Em Tournaments Like you see on T.V. 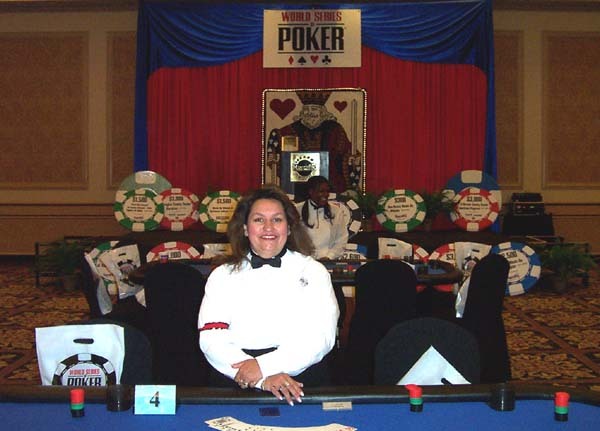 Harrah's World Series of Poker Tournament Finals for their Casino employee in Las Vegas. 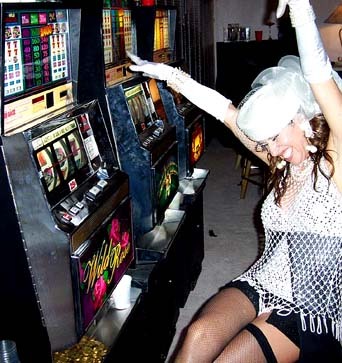 Our slot machines give you the electric Vegas feeling with all the flashing lights, bells - The sounds of winning! 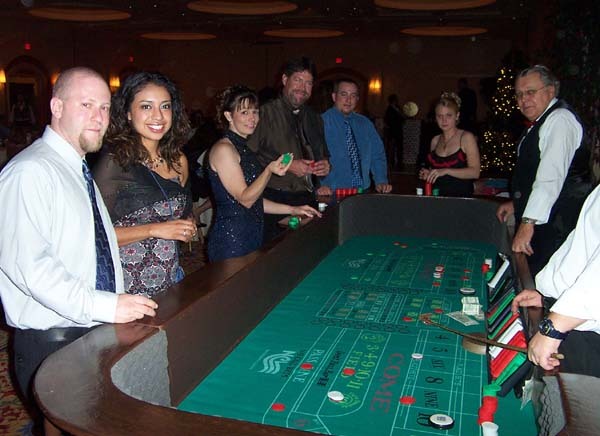 We consistently exceed our client's expectations by providing the highest quality Casino Party experience available. 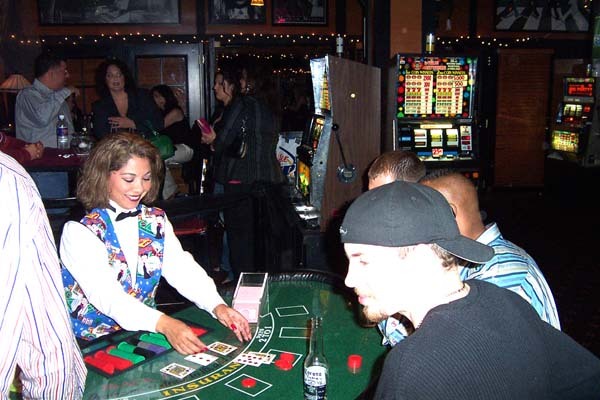 Authentic Casino games with fun, friendly, and professional dealers. 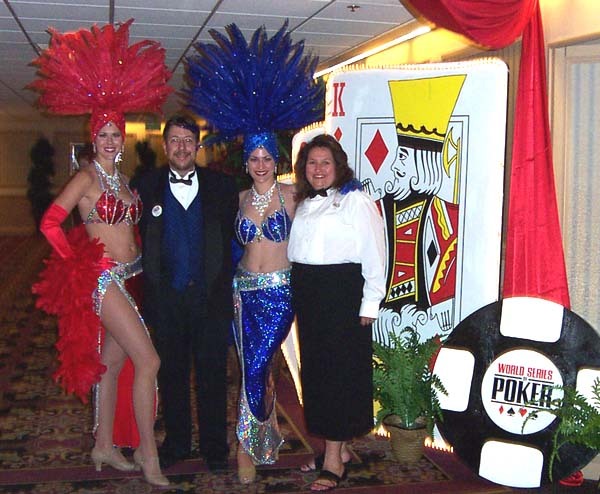 We love theme casino parties! Party supply vendors - We've found all the party supplies you might need to decorate your events! These two great stores have thousands of products at the best online prices, shipped directly to you, fast! 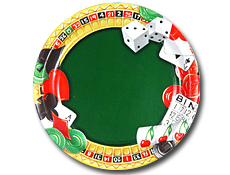 www.CasinoPartyEvents.com for all of your party supplies! We work with party supply companies to offer you ONLINE Discounts and Convinience through our website. 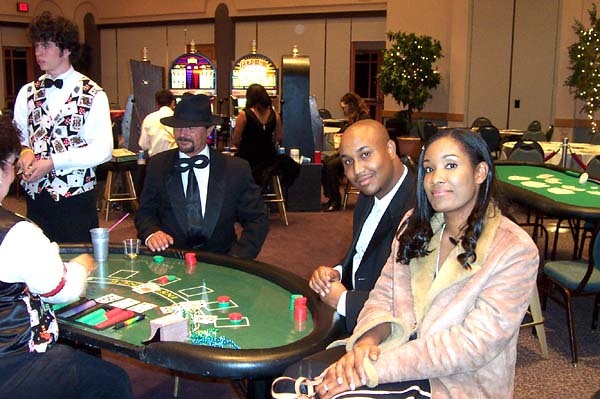 A Casino Party for your next event! 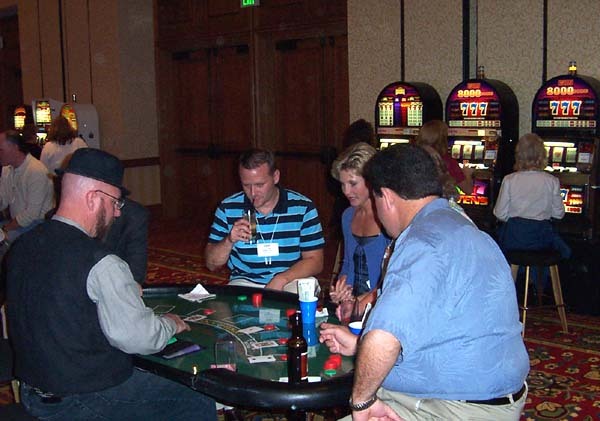 Imagine your guests playing and enjoying an evening as a high roller! 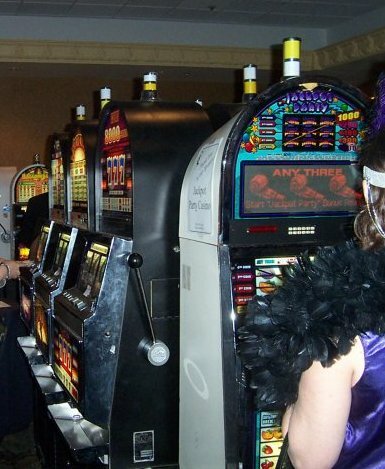 Your guests get tokens and casino chips to play with, we provide everything you need and run the show! 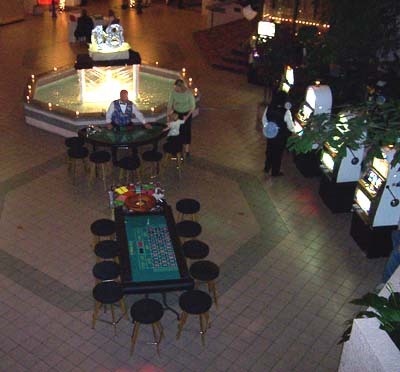 Have a Casino Party with the largest state of the art mobile casino system around. 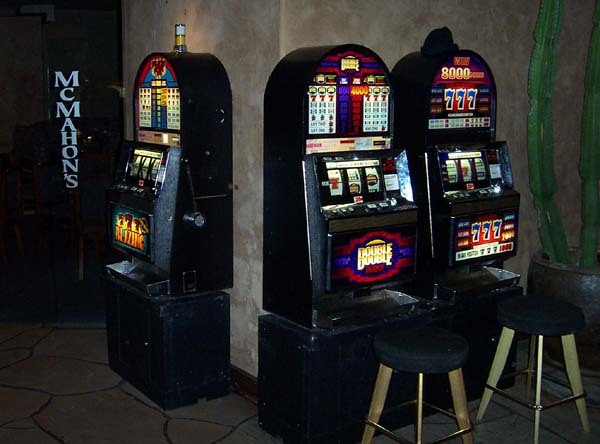 We have the latest and most popular slot games like: Blazing Sevens, Triple Diamond and Red, White and Blue! 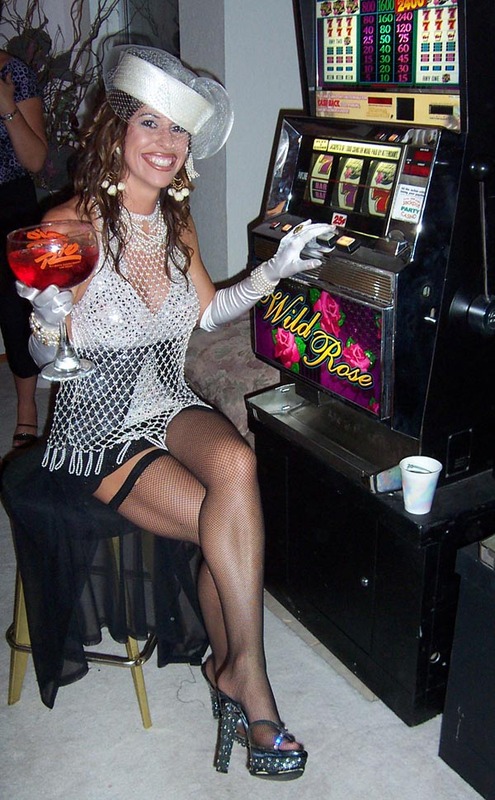 We do it right with the total casino experience! You will love the way we make you feel! 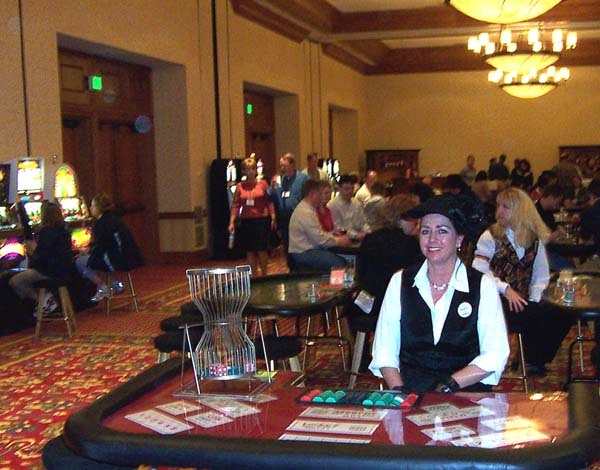 We provide a turnkey casino that will excite and entertain your guests - We take care of the details so you can play too! Guests arriving for New Years at Malonies on 4th Ave in Tucson. Over 1500 people played at this fundraiser for OI - By midnight you couldn't see across this room. Whew! What a party! 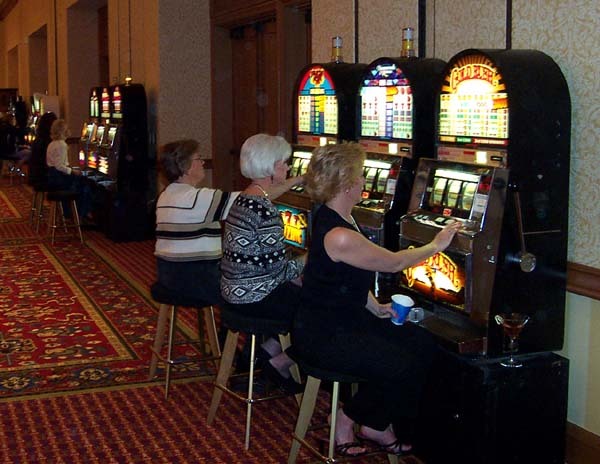 Guests love the great casino action! 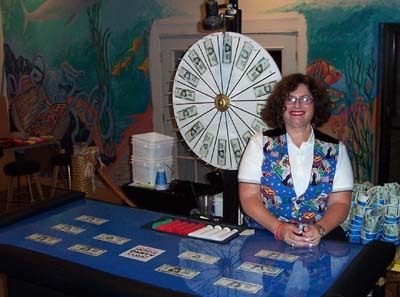 Lucky Bucks make it feel real, each player gets Lucky Bucks to buy chips at the tables or tokens for the slots! All pays and plays are with supplied chips and tokens. 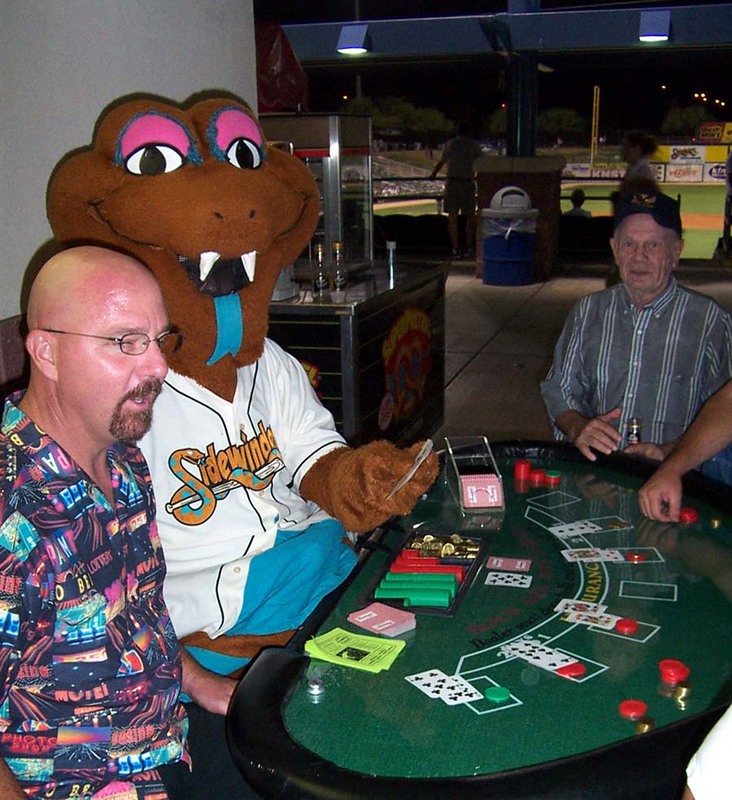 All Gambling is simulated and for entertainment and/or fundraising purposes only. There's a reason that our Casino parties are booked months in advance. It's because we focus on providing exceptional customer service throughout the planning process. McMahons Prime in Tucson, Arizona was an elegant setting for this corporate "Las Vegas Night" Party. Team building and communication in a fast paced social setting. A winning combination! Great for large groups! Many people can play at once making this great for large parties. People can play while socializing. 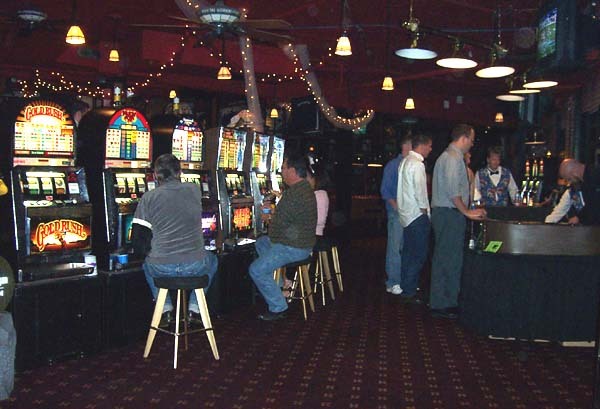 - Players place their bets after viewing the odds and details of the jockey and horses on the TV monitors. - Each player gets a bet slip to hang onto while cheering on their horses. The race is seen on the TV monitors and results are displayed with the payoffs. Just like real OTB "Off Track Betting" but "virtual"! Two minutes to post time! 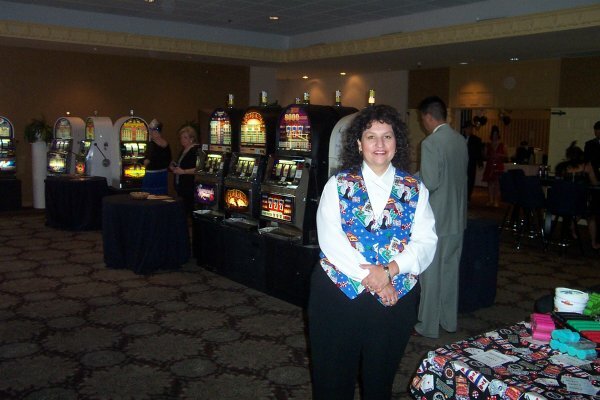 Bet Lucky Linda to WIN for huge excitement at your Casino Party! Chuck A Luck - Wheel of Fortune! 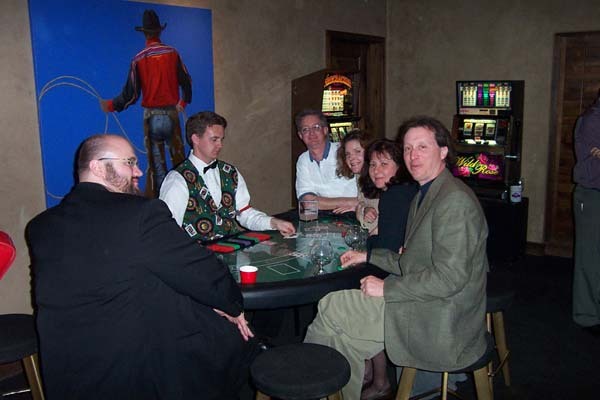 Greedyhog Gambling A comprehensive online gambling directory and search engine.